The Neiman Marcus Limited Edition, Carousel is a pure representation of the highest haute joaillerie through intricate detailing. 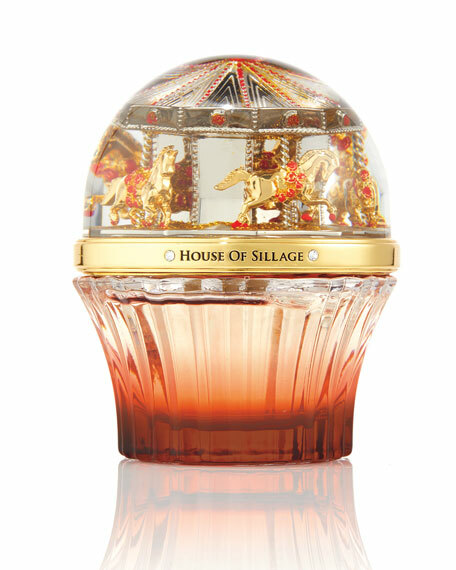 This opulent fragrance is plated in 18 karat gold and presented in a hand-polished, red ombre-lacquered glass bottle. Inspired by the magic and wonder of the nostalgic amusement ride, The Carousel is a symbol of playfulness and discovery that will take you on a beautiful journey that transcends time. Top Notes: Coconut, bergamot, pink pepper, peach. Middle Notes: Orange blossom, raspberry, gardenia. Base Notes: Amber, musk, vanilla, solar notes.